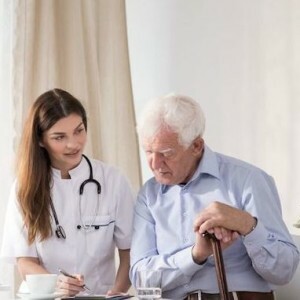 Generation Solution’s medicare skilled home health care division brings you the professional services that are necessary to allow you to return home after a hospitalization or change in medical condition. These services are available for clients in Lynchburg, Virginia. And the best part is, these services are available through Medicare, medicare Advantage plans, & other insurance for qualifying patients! 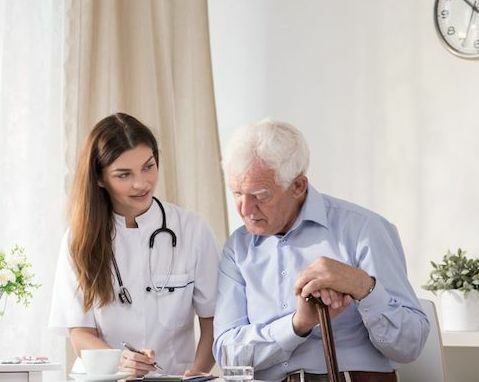 With many years of home health experience, our experts have seen our patients recover faster in the comfort and familiarity of their own home. As a result, we make sure that we provide a comprehensive list of services to make sure that the patient’s best outcomes are in mind. We recruit and employ only the top professionals in our field, which allows us to build meaningful and beneficial relationships with our patients. To provide the highest quality of care available in the home to avoid re-hospitalizations. We also believe our patients should receive the best care utilizing the latest technology available. Do you qualify for Medicare In-Home Healthcare? You need to be under the care of a physician & have a physician’s order for home health care. There must be a skilled need/diagnosis determined by a physician in an in person visit. The services must be determined to be medically necessary. You must have a face to face meeting with your doctor before or within 30 days of the home health order. * Homebound means the condition of the patient causes an inability to leave home; or if leaving home, it requires considerable and taxing effort. What are the benefits on in-home care? PRIVATE/PERSONAL THERAPY CARE – Trained therapists come right to your door! SAFETY – Therapists can assess your home and make recommendations that will ensure your safety. FUNCTIONAL – Show your private therapist what you are having trouble doing and practice in your own environment. MOTIVATING – A therapist who knows you and trains your loved ones or friends to be your best cheerleaders. QUICKER RECOVERY TIME –Recovery occurs quicker in the comfort of your own home. Rehabilitation most often needs to be continued when discharged from the Hospital or Rehabilitation Facility. Doing it in your own home is best. INCREASED STRENGTH – There is an increased need for therapy when you are transitioning home from the Hospital or Rehabilitation Facility. Individuals tend to be in a weakened state and would benefit from on-going therapy in the home. Resistance does not lead to recovery in this case! Our staff here at Generation Solutions encourages you to be as strong as you can possibly be, while letting your insurance cover the costs. The HomMed telehealth system consists of a home monitor used to collect such data as heart rate, blood pressure, oxygen saturation, temperature, and weight. This data is transmitted daily to our office where a nurse reviews the results and consults with the patient and physician if necessary. This system has been especially helpful in reducing emergency room visits and repeat hospitalizations. Click here for more information regarding HomMed Telehealth. VitalStim Therapy uses small electrical currents to stimulate the muscles responsible for swallowing. At the same time, trained specialists help patients “re-educate” their muscles through rehabilitation therapy. The clinical data is compelling. 98.4% of patients improved their swallow function score. Even to patients with long-term dysphagia, VitalStim Therapy holds remarkable potential – and abundant hope – for a lasting solution. Click here for more information regarding Vitalstim Therapy. Our nurses can monitor the patient’s Coumadin level at home. Using a simple fingerstick method, immediate results can be obtained and called to the physician. The patient’s Coumadin dose can be adjusted promptly. V.A.C. a unique system that may promote wound healing. This negative pressure wound therapy is prescribed by many doctors for traumatic and chronic wound patients. Our wound care nurse is also a certified V.A.C. nurse. I can't rely on my private caregivers any longer and your people are a Godsend. I can't thank you nor the girls enough for what they have done for my family and myself. I don't have to worry when they are with you.